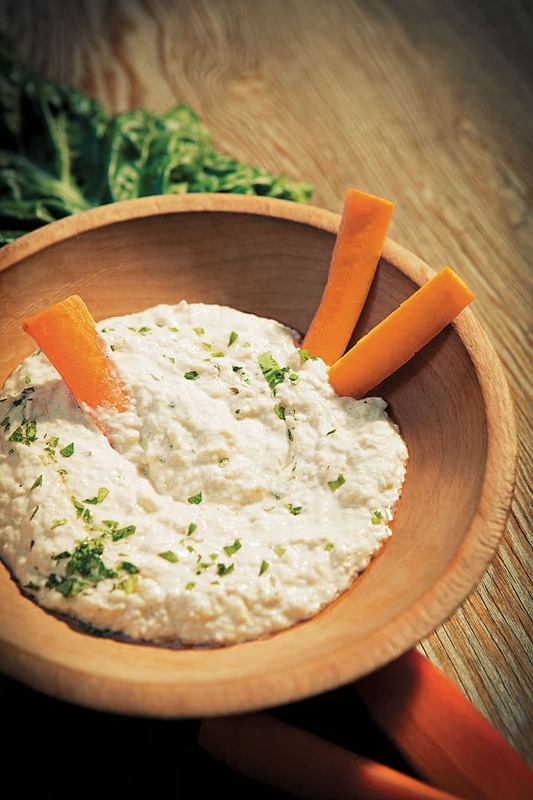 Home » Appetizer » 11 + Vegan Appetizers to Make Your Super Bowl Party The Best Ever! 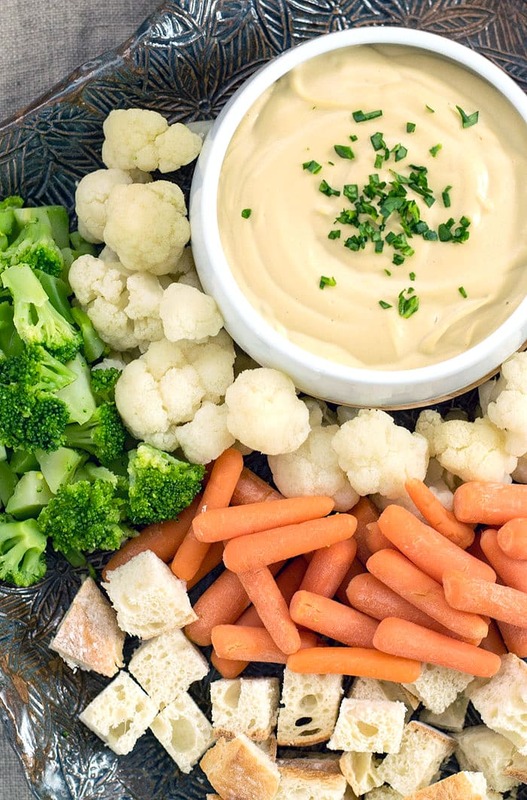 11 + Vegan Appetizers to Make Your Super Bowl Party The Best Ever! I have to admit I’m not a big sports fan. However, I am a fan of snacks and having friends over and that’s what makes me think about the Super Bowl at all. Have a party if you’re a fan or not and enjoy your friends and some much-needed winter comradery. 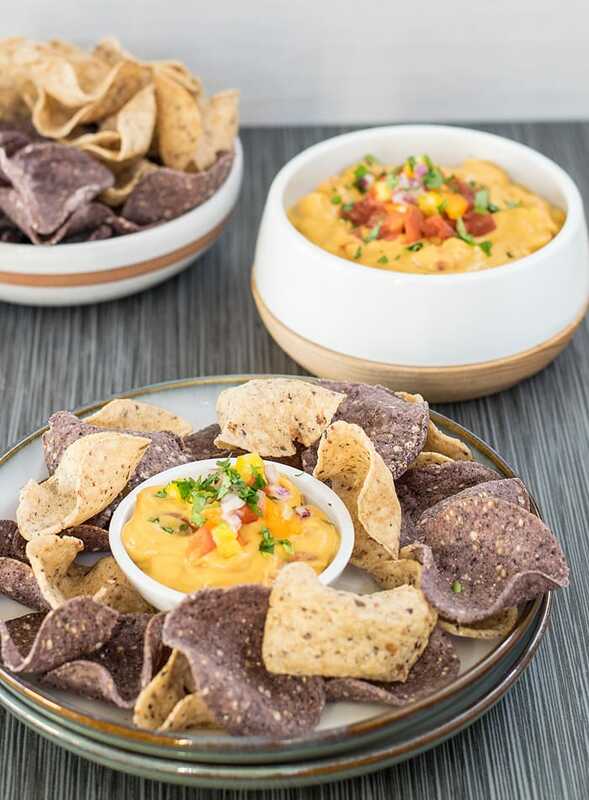 It’s a bonus that you get to share some dips, chips, crackers, and more! 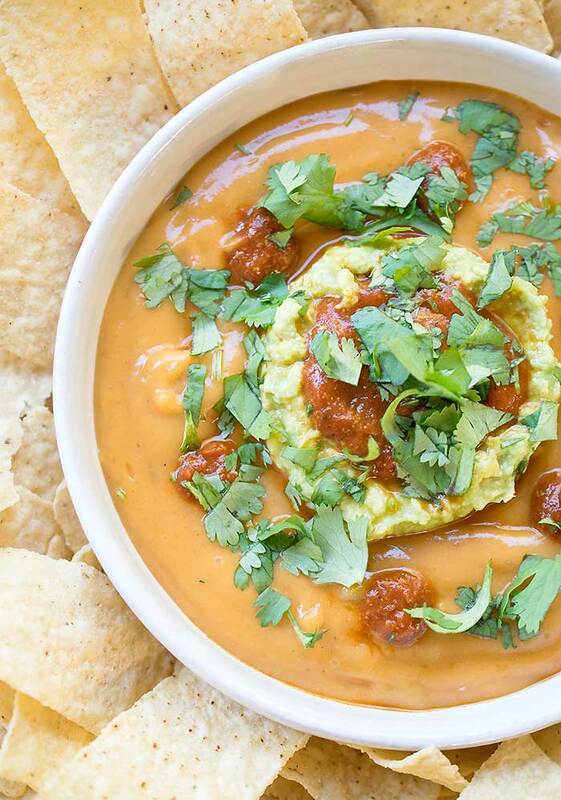 This Vegan Torchy’s Queso Copycat is made with potato and homemade rojo sauce will amaze your family and friends. The consistency is like the dairy cheese dip your remember. Looking for a healthy snack for the crew? This Easy Balck-Eyed Pea Pate is your answer. 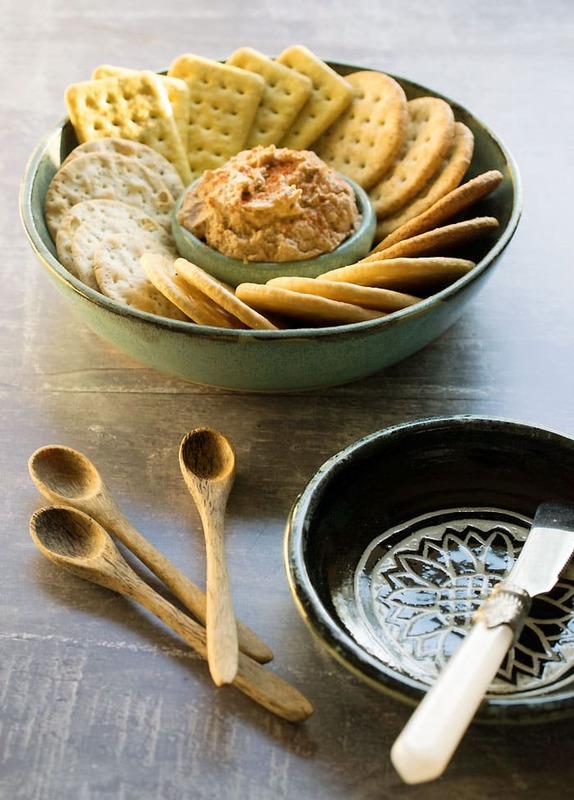 It’s the perfect spread for crackers and you can dip in carrot sticks too. 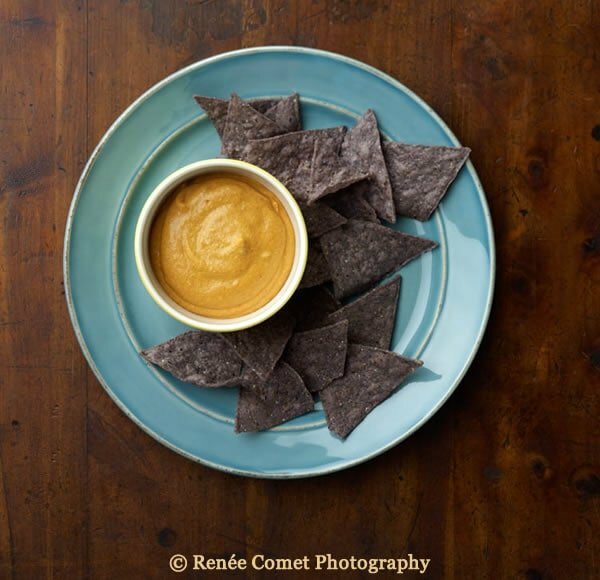 Here’s another Vegan Queso. This one is made mostly of cauliflower, one of the most magical vegetables in my opinion. 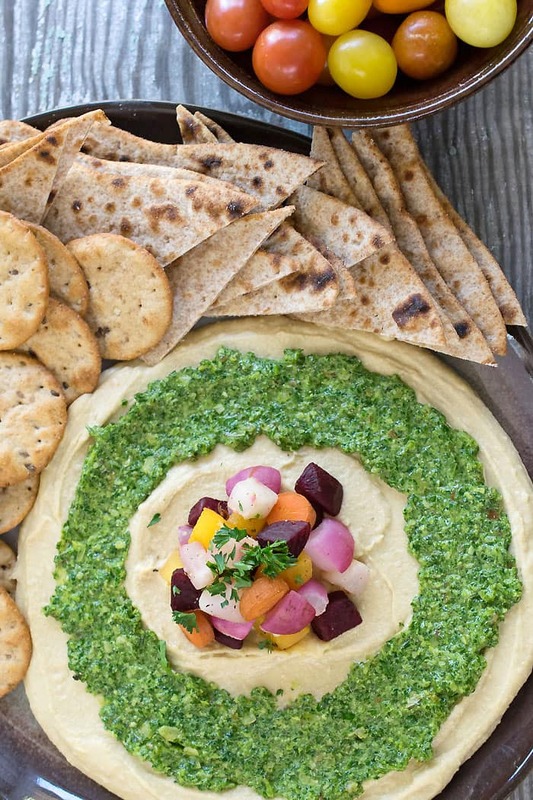 Dress up your hummus with my kale parsley almond pesto. Or up your game and make a pasta salad with it! Vegan Fondue, anyone? This one is easy because is starts with a base of hummus. and you can use the leaves for another recipe. Check out this Kale Stem Pesto to use it all up too. No Shame Layer Dip has a special addition to most of the layers. 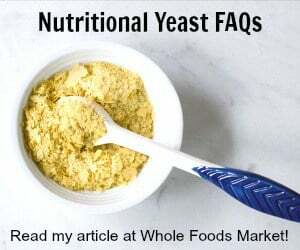 This comes together fast and you can use vegan unsweetened yogurt or cashew cream in place of the vegan sour cream. 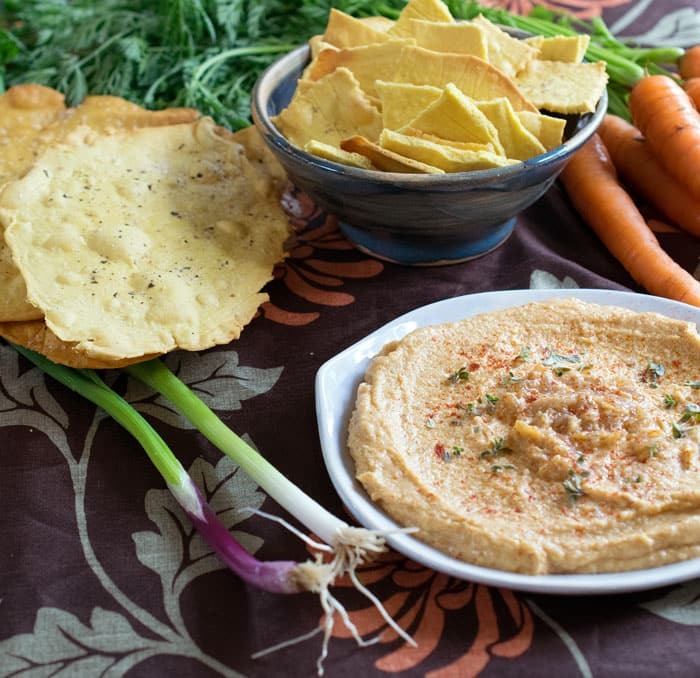 Make these easy vegan and gluten-free chickpea crackers to go with all your dips. 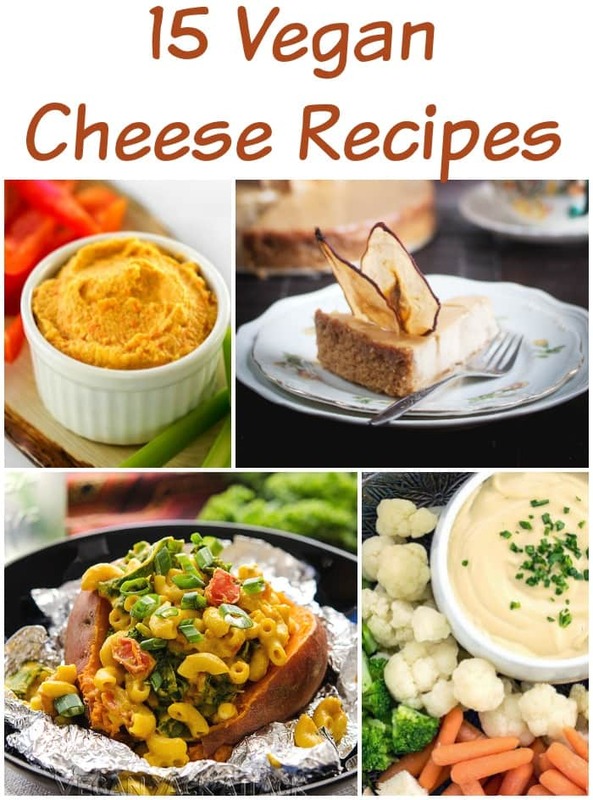 Just in case you need more ideas, check out this post that gives your 15 vegan cheese recipe ideas too! Terrific collection! 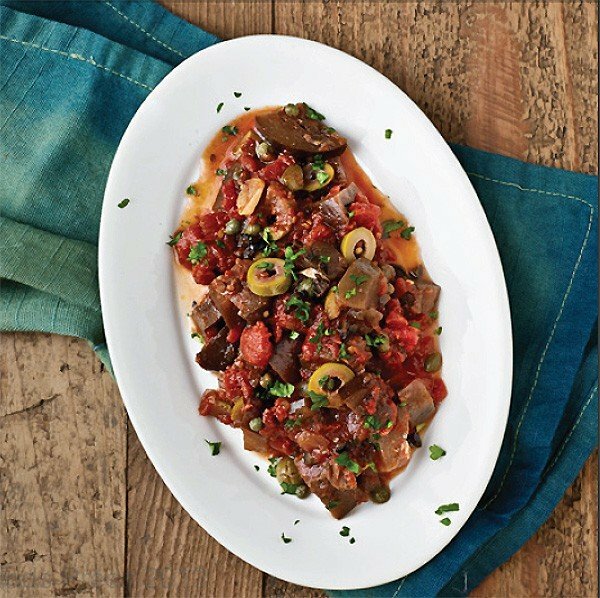 I’m especially enamored of the slow-cooker eggplant tapenade. Tried to share this on my Facebook page; sadly it wouldn’t bring any enticing images over. Too bad. I’m sure my vegan friends would love to see these recipes! These are great options for a party any time of year, even New Years Eve! 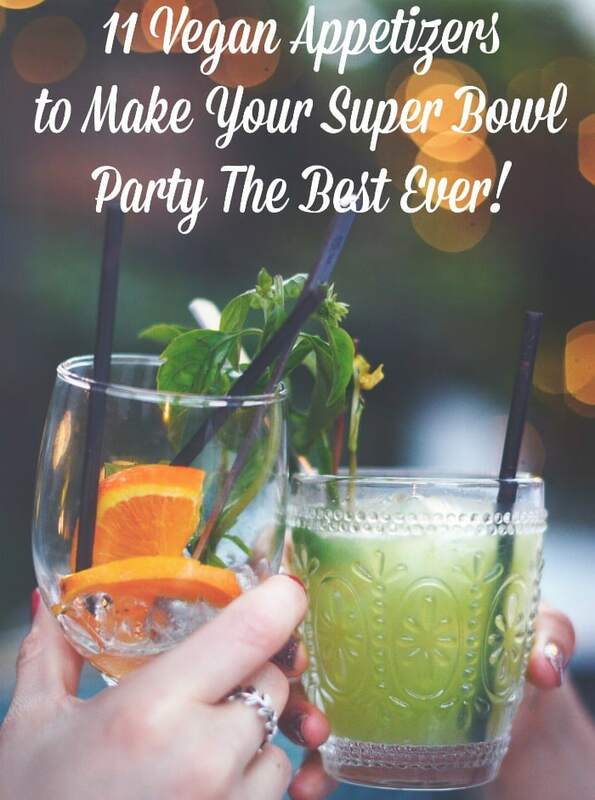 These are great options for a party any time of year, even New Years Eve! I’m eyeing up that stuffed potato that will have to happen way before that though.